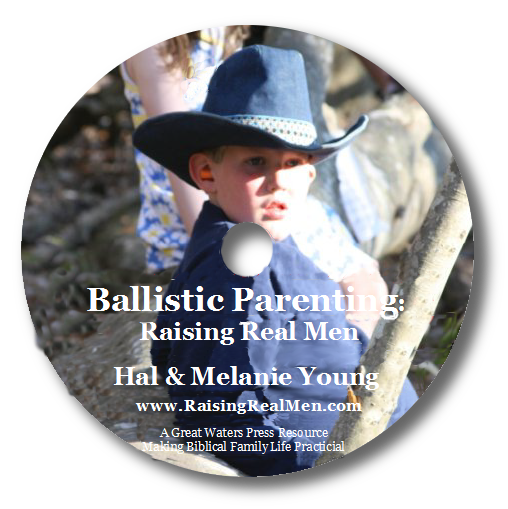 Raising Real Men » » Announcing Our New Radio Show – and an iPad Mini Giveaway! We are thrilled to announce that we’ll be hosting an hourlong weekly streaming radio show on the new Ultimate Radio Network! 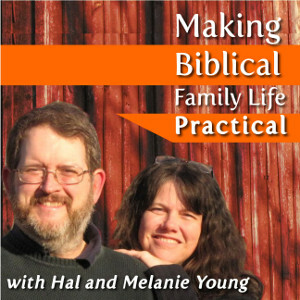 Our new show, Making Biblical Family Life Practical, will be the Hal & Melanie you guys know and love — there will be lots of back and forth and humor, but also pointed, principled commentary about the issues you are concerned about. 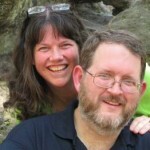 Just in the first few weeks, we’ll be chatting with Dennis Gundersen, author of Your Child’s Profession of Faith about how to share the gospel with your children and how to objectively think about their spiritual state and Earl Pendleton, the founder of the Homeschool Football League, where they’ve got over 800 homeschool kids playing contact football! We’re going to grab Ken Auer of RoleModel Software to talk about apprenticeships in the new economy, too. 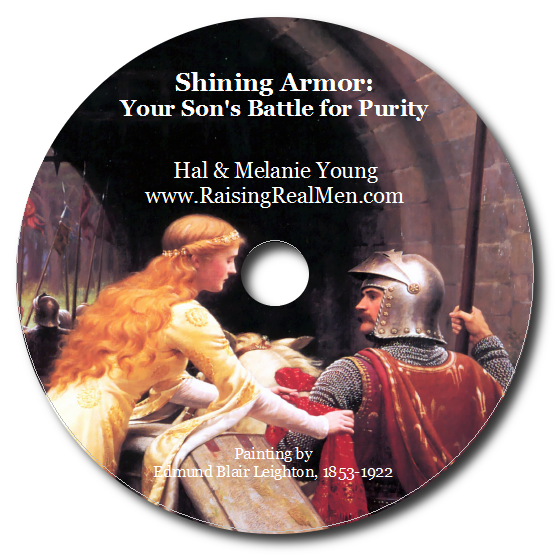 We’ve got shows in mind about purity for guys, why folks are waiting so long to get married, courtship and dating, how to fight so you both win and much, much more! We’re really excited about it and we’re looking forward to meeting you every week! Oh! 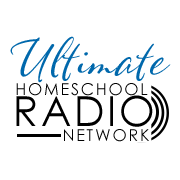 And if you have a business that would like to reach our audience of committed Christian parents, we still have sponsorships and radio spots available. So, please drop us an email at radio(at)greatwaterspress(dot)com and put Radio in the subject line and we’ll send you a media kit. Tell us in the comments below what topics you want to hear about on our show – THEN click here and enter the contest by saying that you commented! We hope the winner is one of you! Here’s our show page — we’ll see you there! Courtship definitely! Topics on moms relating to their boys – which are an alien species sometimes! I’d love to hear you talk about how boys should spend their time after graduation. topics dealing with boys ages 6-9 Thank you. I like to hear about helping boys have self-control specifically when learning is a challenge. Encouraging them to keep trying without getting angry about the struggle or just deciding they are stupid & why bother. Thanks. How to live and demonstrate a more God-centered life, other than praying with kids before meals and at bedtime. I feel we lead by example, but sometime my kids, esp the teens, say something that makes me realize I should be doing more. I would love to hear how much you should push an energetic boy to focus, versus how much to just let him be. My 5 year old son is full of life, but can break down quickly when he feels the expectations are too high (in homeschooling or chores around the house). Like many any advice on raising boys but helping our son cultivate a healthy prayer life. I would love to hear about how to get kids to eat stuff when both parents are not on board or how to get the spouse on board!! My 4 year old ate everything until he was 2 and then he quit. He refuses practically everything except about 4 or 5 foods, none of which are fruits or vegetables. I say put what we eat on his plate and if he refuses, fine, he will get hungry sooner or later and eat what is given to him. My hubby, on the other hand, is so afraid about him not eating that he will make anything our son will eat (chicken nuggets, hamburger, rice, tater tots, peanut butter sandwiches – that’s about it!) just so he has something in his belly. I keep trying to tell him that it will not get any better as long as he keeps making only those few foods for our son, but he is just too afraid on the boy starving to death to let him miss a meal because he refuses to eat it. It is SO frustrating. How exciting! Congrats! I will definitely be listening in! I’d love to hear about how to raise a boy to be a godly man without emphasizing hyper-masculinity, especially in a culture that’s so staunch on pronouncing your sexuality. I am nervous that Christians will focus too much on hyper-feminism/masculinity as a sort of push back to the “homosexual revolution”. Does this make sense?? I’m looking forward to listening! I would be interested to hear more about sibling relationships for brothers close in age. Specifically, how to help them work on conflict resolution and when to sit back and let them work it out. I would like some practical strategies for helping siblings to truly befriend one another, how to foster and encourage consistent (not random) acts of gentleness and kindness between siblings, etc. Can’t wait to hear your show! Sibling rivalry (brothers that want to kill each other) and teaching boys how to think and act responsibly and independently. I would love to hear about helping our boys stay committed to their faith in a peer pressure situation. Family discipleship and more family discipleship. We want the study of God’s Word to be second nature to our family and for our boys to be obedient to all of God’s commands. Family discipleship is something we are trying to focus more on & I’m looking for additional resources for. I am so excited to hear this! I would love to hear more about helping boys gain maturity as they hit the teen years. Teaching Godly conflict resolution between siblings; how to decide when disagreement is just friendly banter and when you need to intervene; how to teach non-touchy-feely introverts that their brief, to-the-point answers often come across as uncaring and dismissive. Wow! So many things. Although I was raised in a Christian home, many of the ways we lived were still patterned after the world: dating versus courtship in particular. I feel like we are forging new territory with our own children and it always helps to hear from those who have been there already. I’d like to hear about helping them resolve conflicts without resorting to hitting. We’ve talked and talked but they still lash out physically when they get really angry. I’d love to hear about teaching young boys to respect others belongings. I had no problem teaching daughter this, but I’m struggling to teach it to 3 year old son. 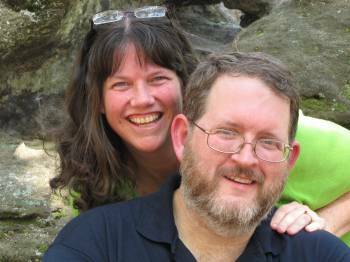 Keep Doing what you are doing – I love the site, the book, and the FB group! I’d love to win, too! I would love to hear about ways to help my son stop bugging his siblings for fun. I would love to hear about keeping active boys busy for God and good! Any time you talk about any topic regarding raising boys, you have my ears. I have a high school boy, so we are navigating what to do about college/apprenticeship/career. I love having a son! Oh the fighting! I can’t stand the fighting! I’d love any advice about raising boys when Dad isn’t in the home for extended lengths of time. My husband is a soldier. Thanks for this opportunity! I’d love to hear your thoughts on instilling a love for work. My firstborn is very diligent and strives for excellence in all that he does; however, my second son does not want to do anything that does not fall under his own personal definition of fun. I would love to hear about how to keep up on housework while homeschooling! I would love to hear specifics on training boys in responsibility and hygiene. I cannot fathom why changing underwear is a pain to them! Maybe also on how to get boys to learn to at least like reading a little. I would love to hear names of books about missionaries and such as a good family read. And how to actually live day to day homeschooling a 9 yo and babysitting a 3 1/2 yo special needs child and a 11 mo. I’d love to get ideas of fun ways moms can connect with her teenage sons. We had lots of activities to do together as a family when they were little. Not so easy now that they are 13 and 15. I need help with how to help my sons with their words to each other and in their use of slangy terms that aren’t wholesome. I have two children, one son and one daughter. My son is older. How do I train him to treat his sister with kindness and courtesy. He is constantly belittling her with his words and actions. He thinks that hitting and pinching her is not a big deal. He does have diagnosed, but as of yet unmedicated ADHD, ODD and sensory processing issues. He “over retaliates” for small slights. We do our best to keep them physically separated as much as we can because we fear for her safety, but I homeschool so they are together a lot. 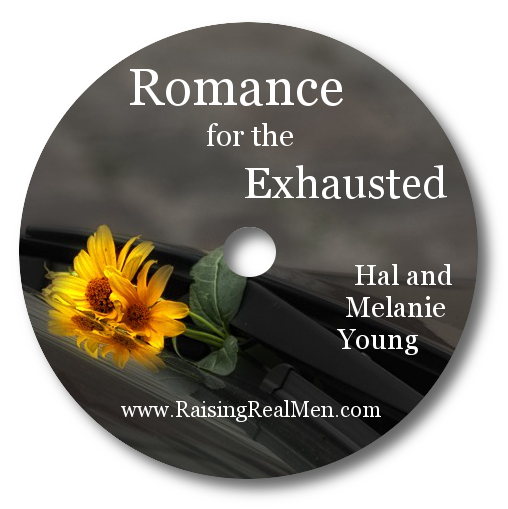 He is 8 1/2 and she is 6.
how a mom can encourage her son when the dad isn’t stepping up? We have 3 sons: 13, 10, and 7. They will find any excuse to wrestle in the house, and it would go on all day if I didn’t intervene. What guidelines have you found effective? I have three boys, 2, 4, & 6. My oldest has trouble even making eye contact when spoken to by someone outside of our family. I’ve been careful not to refer to him as shy, but a woman at church said he was behind socially. He does fine with his brothers…Got any advice? I have one ten year old son. I would like to learn how to overcome obstinance. My son will sit there and say he doesn’t want to do his work. He will just SIT there, and not do anything (for hours) just to prove he is in charge. This is our first official school year at home. Please help! How can I be both mother and father since my husband of 21 years has left our home. My son is 12 years old and trying to run the house now, help ! !